While scanning the news I was struck by the irony of this story from the San Francisco CBS affiliate. 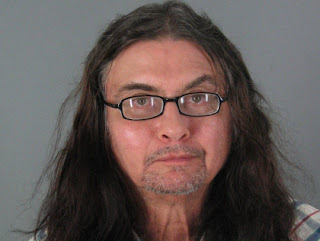 Samuel Kioski was arrested recently for an inventive application of Ben Bernanke's magical printing tricks. Allegedly, Mr. Kioski was an ATM technician who replaced almost $200,000 of real money for fake copies of dollar bills. In his "rampage" Samuel opened up a total of 7 machines, grabbed the real cash, and dropped in bad forgeries into the cash dispensers. The police stated that the fake money was not even a good attempt as he simply made the bills on a copy machine. The repairman was able to sneak away since last July with his haul, but was found two weeks ago in Arizona. See, Mr. Kioski didn't quite understand that you must have a PHD from Yale or Harvard and also deal in billions rather than hundreds of thousands to get away with this sort of trick. Our central bankers have pulled off the exact same scheme, but instead of going to jail, they are lauded as heros. Think back to the scary days of the economic collapse. When the full impact of the Lehman implosion was being felt, we watched as Goldman Sachs, Bank of America, JP Morgan, and others swapped their toxic assets with us for clean, crisp, and freshly printed digital dollars. We taxpayers (our leadership and the Fed) were more than happy to trade worthless paper (MBS) for our currency in the name of avoiding disaster. Compare the TARP swap with the trade Mr. Kioski made and you'll find little difference between his moves and those of the Fed, Treasury, and the bankers; little difference besides that it was a small amount and not sanctioned by the thieves at the NY Fed. WHO IS THE BIGGER CRIMINAL? So the takeaway from this story is that if you are going to pull a fast one and take money from folks, you must follow these rules to get away with your booty.